When drivers fail-to-yield, they most commonly cause a broadside collision, nick named a t-bone accident. In some accidents, the driver drives through a stop sign without stopping. Furthermore, a driver at a highway intersection must yield to approaching vehicles. In addition, drivers have a duty to yield to pedestrians. 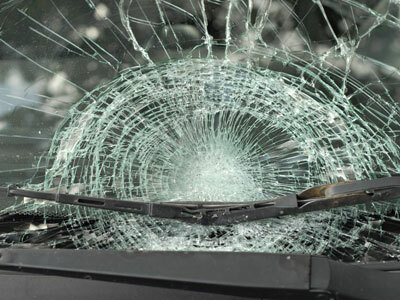 Our Firm has experience representing failure-to-yield accident victims. Failure to yield accidents describe a particular type of motor vehicle accident. when making left turn across traffic. from driveway, parking lot, or other private roadway. In some failure-to-yield accidents, the Defense will say that the victims actions, in-whole or in-part, caused the accident. In Florida, a failure-to-yield accident victim may share in the responsibility of the accident. Should your case end up before a judge or jury, they will assign the proportion of fault, assigning the percentage of fault one or more Defendants and the injury victim. Subsequently, the amount of damages that the one or more defendants will pay to you will be reduced based on their proportion of fault. Do not admit to fault in the accident and do not speak with any insurance companies without legal representation. Even in cases where fault is undeniable, insurance companies will attempt to shift blame. If you are a victim of a negligent driver that caused your injuries due to their failure to yield, contact an attorney with our firm immediately. If you or somebody you know is injured in a failure-to-yield accident, let a trial attorney with Tucker Law help explain your legal rights and your ability to obtain compensation for your injuries. As skilled legal counsel, Tucker Law will represent your interests before the insurance company and when necessary before a jury of your peers. In vehicle accidents involving the failure of another vehicle to yield, liability most typically lies with the driver that failed to yield. Nevertheless, every accident is unique and the defendant insurance company will attempt to place liability on the injury victim. For this reason, it is important to contact our Firm before making any statements to the insurance company. In all too many cases, the defendant insurance company will attempt to have you sign away your rights to insurance money. Failing to yield or stop at an intersection in Florida will result in a citation of Florida Statute § 316.123. Whether a driver is in violates the failure to stop or yield statute first requires looking at whether the intersection provided a stop sign or a yield sign. In Florida, the duty includes stopping at the stop line or before entering a crosswalk. At a four-way stop, the first vehicle to stop has the right to proceed pursuant to § 316.123(2)(b). Blowing through a yeild seem that results in a collision is deemed “prima facie evidence” of the Defendant driver’s failure to yield to the right-of-way. Drivers are required to abide by the rules of the rule and the laws of Florida. When a driver fails to yield and ultimately causes injuries to you or your family, you may be entitled to compensation. In many cases, failure-to-yield cases result in significant injuries and significant settlements or jury verdicts. Let an attorney with the Firm review your case and provide sound advice on your next steps. Contact the Firm today to start working towards obtain the justice you so desperately deserve at 1-844-4-TUCKER.